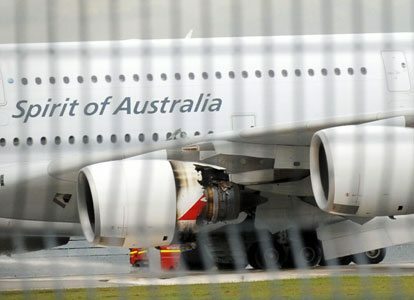 Australia’s Qantas Airlines has discovered oil leaks in the three more A380’s Engines, which has brought the whole airlines to rethink into this matter. The company has said that it has officially discovered oil leaks three more A380’s, and this has now turned to become a worrisome issue. After this discovery, the airlines has grounded the planes for the next 72 hours. The officials at Qantas have said that they will be taking no action until the whole investigation is officially complete. The A380 trade mark has a very strong reputation in the aviation industry, and with the emergency incident which took place last week, it looks many other airlines too will become very speculative against this airliner. The officials at Rolls Royce and the European Aviation have said that the airlines have deviated a huge tragedy as the engine could have blown up completely and a major aerial accident could have taken place. The plane had made an emergency landing in Singapore and all the passengers on board were completely safe. Previous articlePresident Obama Backing India For Seat In UN Security Council, Move To Counter China?